In the 1970s, Osho wrote this message in Hindi, accompanied with his photo and signature. 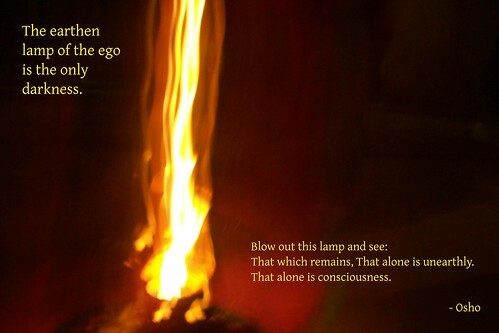 I clicked this photo of an earthen lamp this Diwali, and felt inspired to translate Osho’s message into English and share it with everyone connecting with Osho. My colleague, Dr. Savithri Singh, has creatively put together a selection of her photographs into a slideshow presentation, as a Diwali Greeting. Take a look, and share the light.